Every year around 25,000 music fans from across the globe gather in the scenic Malkerns Valleys of Swaziland to experience the internationally acclaimed event. 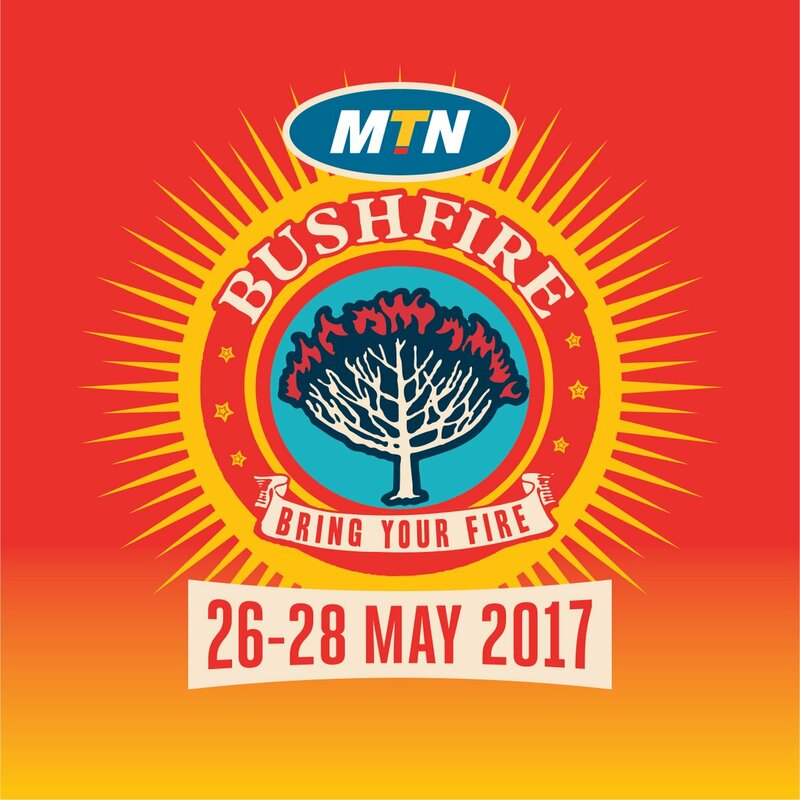 Named Africa’s Top Festival by the BBC, MTN Bushfire Festival is known as one of the most inclusive and diverse festivals in the world. Entering its 2nd decade, the festival’s commitment to the arts, the environment, and social change is even stronger than ever. More than simply a music festival, MTN Bushfire is a holistic experience made up of a rich texture of arts, cultures, crafts, food and people, carefully curated into specialized zones, to create an explosive three-day event and a memorable take home, family–friendly experience. 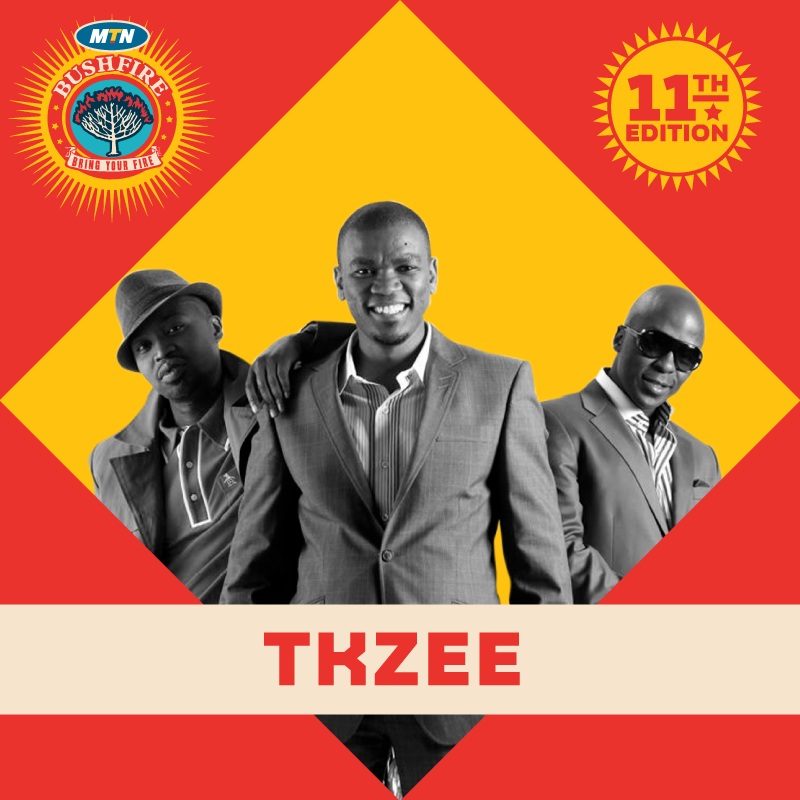 As Africa’s premiere world music festival, MTN Bushfire has always had strong African roots and this year is no exception, with MTN Bushfire proud to announce the triumphant return of Kwaito superstars TKZee to Headline the 11th Edition of the MTN Bushfire Festival. Fans of 90’s Kwaito can rejoice in the return of arguably one of the original Kwaito acts – TKZee helped to define the era. Made up of three school friends who have all made a name for themselves individually, Zwai Bala, Kabelo Mabalane and Tokollo Tshabalala are BACK with all of their 90’s hits including ‘Take it Eezy’, ‘Palafala’, ‘Shibobo’ and more. Its time to get retro and groove to this distinctly South African sound. Congolese performer Baloji, is a poet, composer, lyricist, beatmaker, scriptwriter, actor, and video artist. 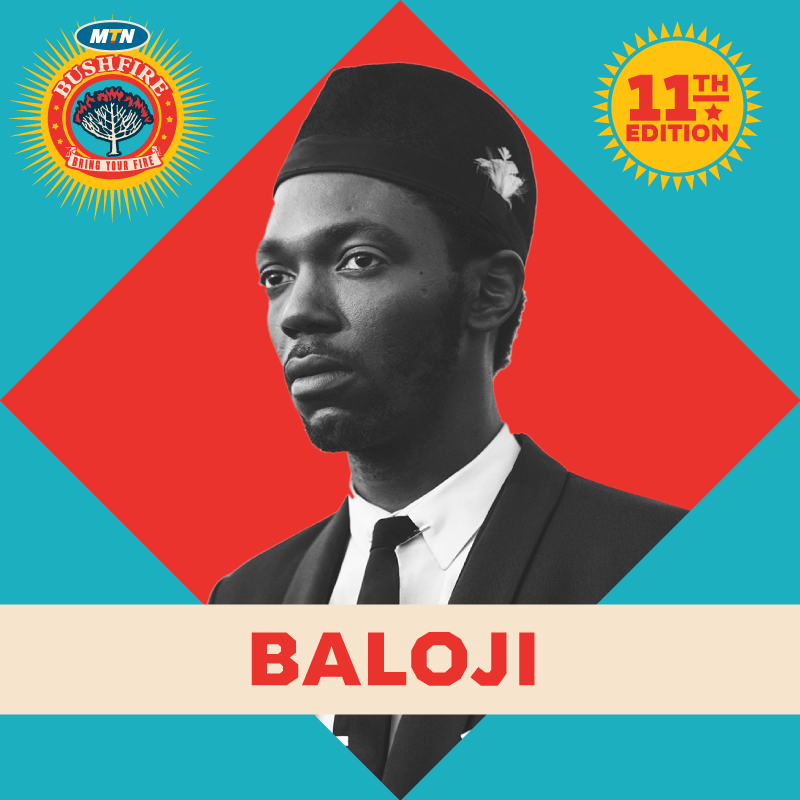 His genre busting music is elegantly poised at the crossroads of African music, rap music, American music (soul, funk, jazz) and even deep house that has its roots in part in the region of Belgium where Baloji grew up. Baloji means “man of science” in Swahili, but during the colonial period, that meaning shifted to “man of the occult sciences and sorcery.” Regardless – of interpretation, Baloji places his resilience at the center of his work, reconciling all of these influences to enrich his projects. The French singer has achieved international acclaim since the release of his debut album Hotel Impala (2008) and has gone on to perform across the world in over 200 shows. Petite Noir features Baloji on — La Vie Est Belle / Life Is Beautiful. Petite Noir is a young South African of Belgian and Angolan descent and is a songwriter, producer and musician who defies description. 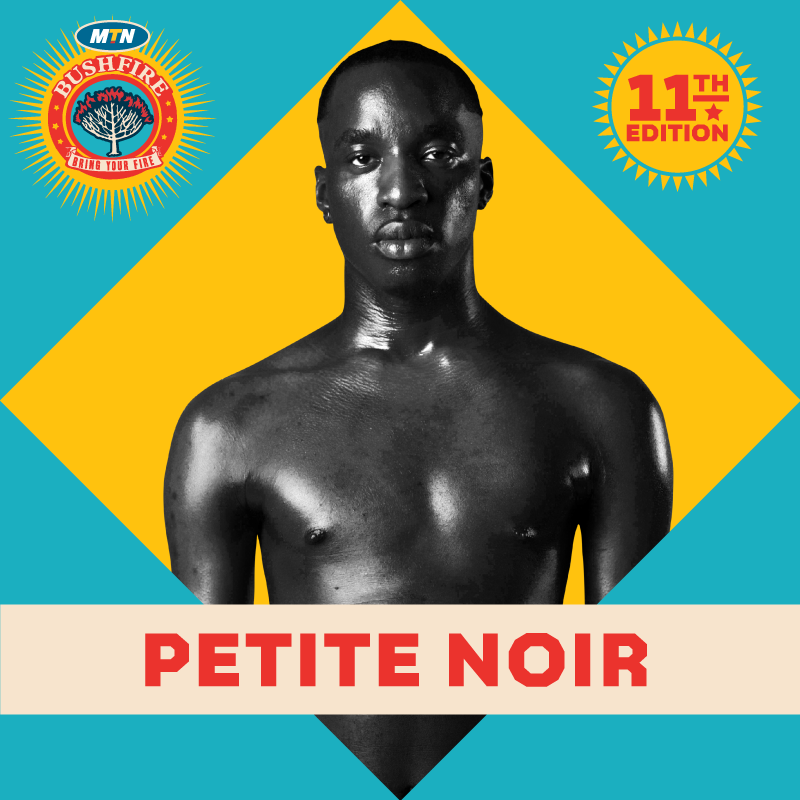 Petite Noir was one half of Popskarr with Spoek Mathambo and was also a member of the music collective Capital of Cool. Since his recording debut in 2012 Petite Noir has created what he describes as “noir wave” or “new wave with an African aesthetic.” Petite Noir is one of the most exciting new electronic music artists to emerge from the thriving Cape Town scene. Taureg music and culture has captured the world’s attention in recent years, and one of its most successful sons is Bombino. Born in the Ifoghas Tribe of the Taureg people, who have long been recognized as warriors, traders and travelers of the Sahara Desert and as people of grace and nobility as well as fighters of fierce reputation, Bombino is the epitome of his people and his culture. A self-proclaimed rebel, two of his musicians were killed during the 2nd Taureg rebellion of 2017. In exile in Burkina Faso, Bombino’s long journey as a desert blues musician even took him to the United States where he had the chance to record a version of the Rolling Stones classic “Hey Negrita” alongside Stones’ members Keith Richards and Charlie Watts. 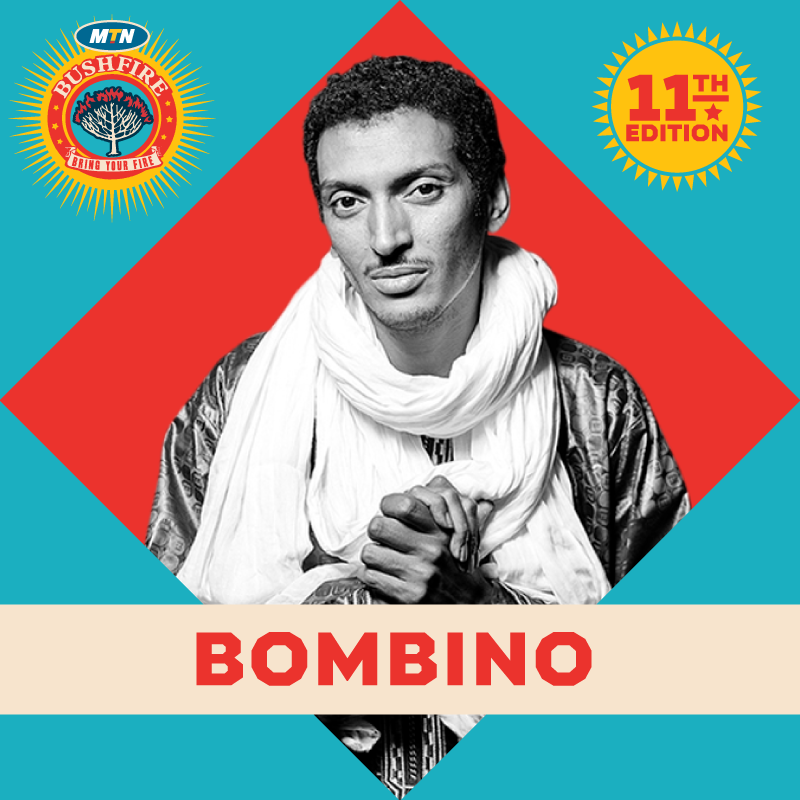 Bombino’s first internationally released album, Agadez, was produced by Ron Wyman and released in 2011 receiving worldwide acclaim. His follow up, Nomad, debuted at #1 on the Billboard World Music album chart and has earned rave reviews from BBC World Service, which calls it “utterly, utterly fantastic” and Rolling Stone, which calls Nomad “a perfect match of sound and soul [that] introduces a new guitar hero. 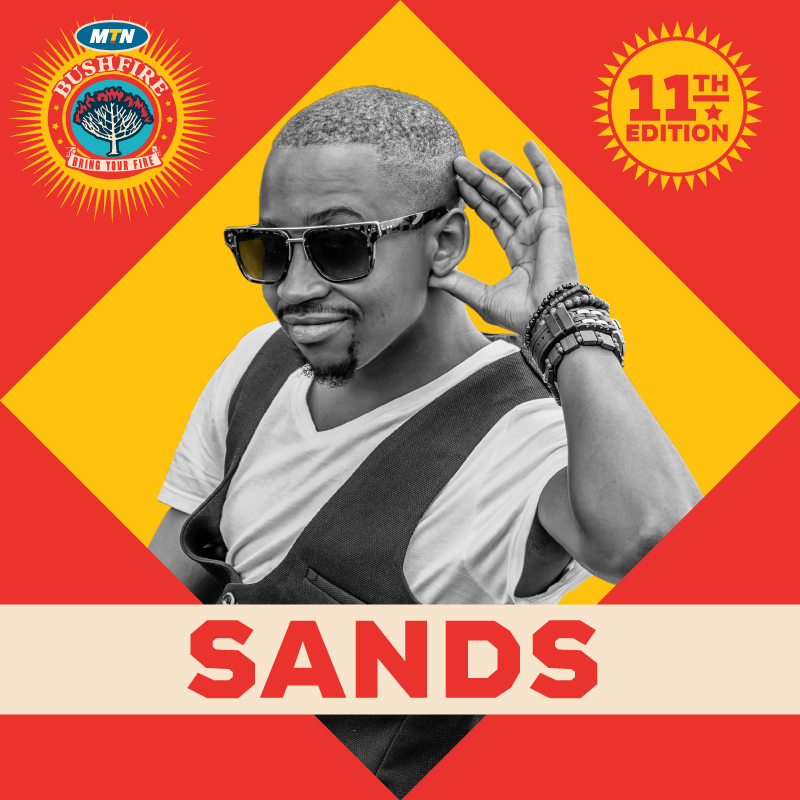 Also announced as headliners is Afro soul singer SANDS, a celebrated Swazi native who is developing a strong profile regionally. Sands’ hit ‘Tigi’, which is currently used as a theme song for local telenovela, Isibaya, on DSTV; is topping most Southern African radio station charts. Collaborators Note: Celebrated for its uniquely African yet global offering, the MTN Bushfire 2017 line-up will once again include some of Africa’s top artists as well as a host of artists from across the world. Stay tuned for more exciting artist announcements over the next few weeks, follow @bushfirefest for more.